A long time ago in Denmark, a childless couple is blessed with a radiantly beautiful baby girl. She is no bigger than a thumb, so she is called Thumbelina. Snatched from her family by an ugly toad who wants to marry her, Thumbelina escapes , befriending various creatures of the forest. Ultimately, she meets the king of the flower angels, with whom she finds happiness forever. 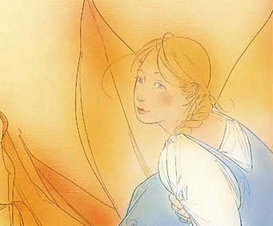 Hans Christian Andersen's tiny heroine will capture your heart and imagination.